The Sony Xperia Acro S is a waterproof and dustproof Android 4 Ice Cream Sandwich NFC smartphone with a 1.5GHz dual core processor and a 720 by 1280 4.3-inch touchscreen display. The device has IP55 and IP57 ratings for dust and water resistance, meaning it is protected against dust ingress and the effects immersion in water up to 1m deep for 30 minutes. The Xperia Acro S is PlayStation certified and also has HDMI output and a 12MP camera. 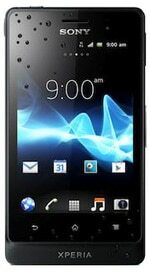 The Sony Xperia Acro S, also known by the model number LT26W, was announced in late May 2012 and is available in some markets now. I have purchase the Xperia Arco S and it seems that the NFC is different from other brands. The standard RFID EDC and other RFID Mifare 13.56MHz access devices are not responding to this phone. I have tried to verified with Galaxy SIII and Blackberry Dakota and the Mifare RFID reader respond normal! Was the NFC in sony product uses FeliCa standard that only Sony can use? ?